Calligraphy is not just for weddings anymore! 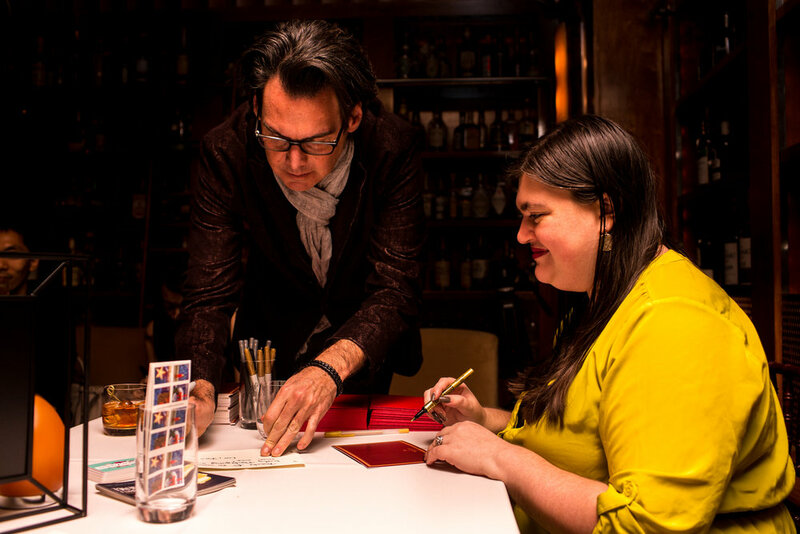 I offer a variety of special event options, from team-building workshops to pop up shops. I would love to create a unique calligraphy experience for your guests! Current partnerships include West Elm, Pottery Barn, the Guggenheim, Etsy HQ, Blick Art Materials, and the National Stationery Show. Click here to see the list of available workshop topics and descriptions. 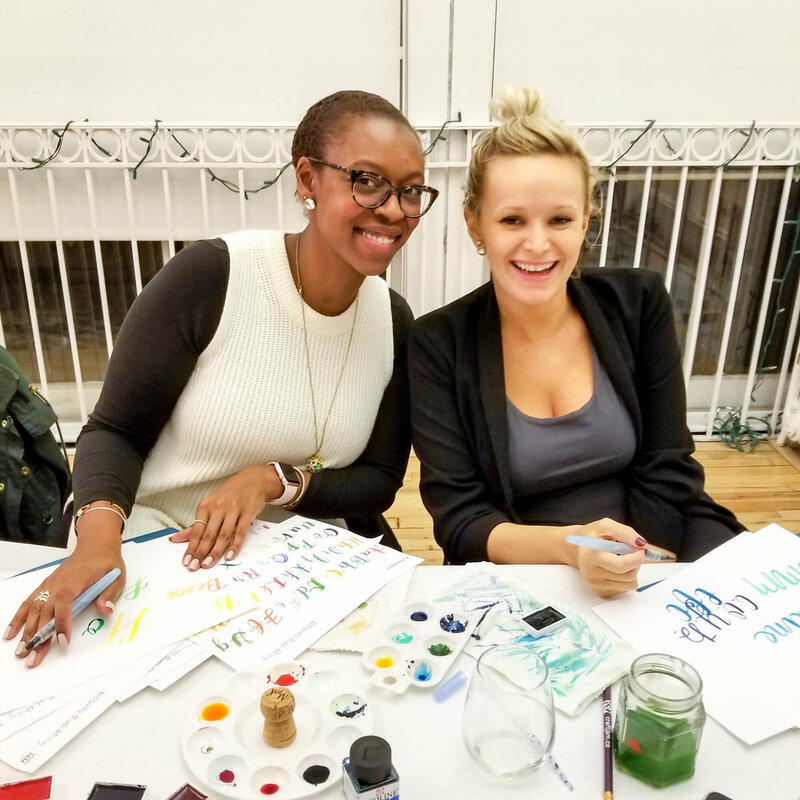 Learning Calligraphy is the ultimate team-building activity! 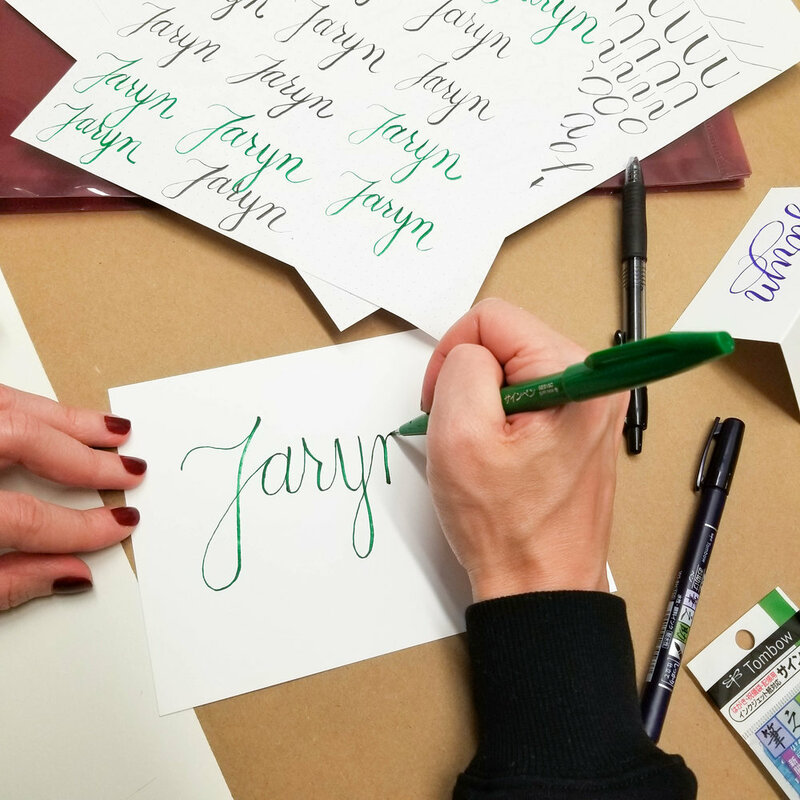 Your team will learn new skills and discover the meditative powers of practicing penmanship together. Final project options include name cards (great for desk decorations! ), inspirational sayings, and embossed notecards. Invite me to your next party! Private workshops are a great way to learn something new with your friends and family. I can create custom workshop experiences for both adults and kids ages 8 and up. I would be happy to work together to choose a mix of calligraphy and watercolor activities to delight your guests! Calligraphy is the perfect personalized favor! Great for happy hours, cocktail parties, and brand events, personalized favors make each guest feel special. I can write your guest names on cards, glasses, journals, mugs, you name it! I've participated in pop up sale events with Chelsea Market, West Elm, the Grand Bazaar, the New York Handmade Collective, and the Hudson Co-Op. I'd love to offer my one-of-a-kind handwritten journals and calligraphy prints to your customers! In less than two years I transformed a new hobby into my full-time job and taught calligraphy to 1000+ students. I recently participated in a panel at Fire Dash Media about the importance of creativity and I'd love to share what I've learned with your audience as well! Client workshops are an ideal way to bring in customers and give them an experience that they will remember! I've hosted workshops at Blick Art Materials (pictured), the Guggenheim and Cooper Hewitt Design Museums, CraftJam, and Brooklyn Brainery. Schedule yours today!